I’m going to lay my cards on the table. I wasn’t a huge fan of breastfeeding, but I still chose to breastfeed both my sons past the six-month mark. This is probably why I’m not horrified or even surprised to hear why French moms don’t want to breastfeed and why France has one of Europe’s lowest breastfeeding rates. French moms receive breastfeeding recommendations similar to American moms. French national health authorities advise a minimum of four months of breastfeeding, with a guideline of six months being best for a child’s health. 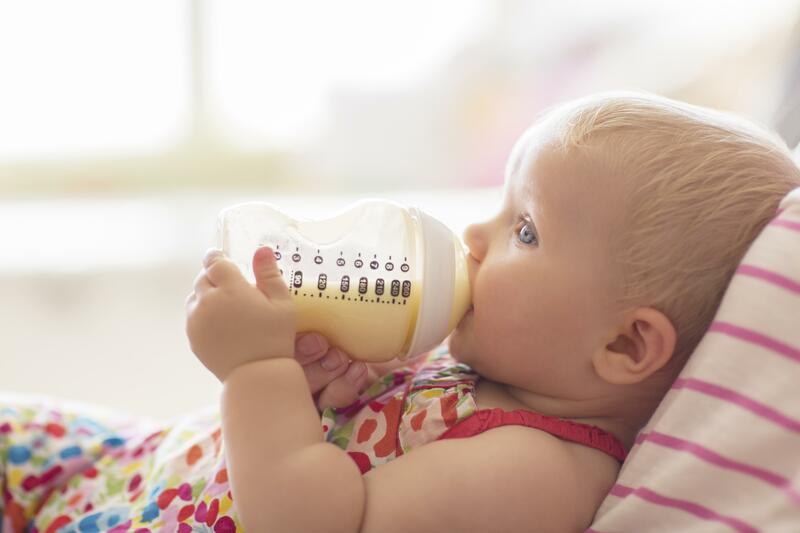 However, a recent report from the Institute for Public Health Surveillance in France shows that less than 25 percent of French newborns are still breastfed at the six-month mark. What gives? Compared to other countries, France falls short. The percentage of babies who have been breastfed, even for one day, hit as high as 95 percent in Sweden, Denmark and Norway. The U.K. and U.S. made it to 75 percent. France tallied at a measly 62 percent. French moms aren’t missing any breastfeeding information. Just like moms in the U.S., they know breastfeeding helps to reduce the risk of childhood obesity and Type 2 diabetes, as well as boost the immune system. But breastfeeding is looked down upon by some French folk — with loose comparisons to drinking your own urine. Breastfeeding support group Leche League France blames history and an interpretation of French feminism. Breastfeeding has been compared by some groups in French society to exploitation and slavery. As the argument goes, breastfeeding robs a woman of her freedom. It wasn’t until a few decades ago that the French government stepped up its breastfeeding campaign. The French government’s pro-nursing stance helped to increase breastfeeding rates, but French women still face obstacles. Like a growing number of American women, French moms work and reject the idea of staying at home. Breastfeeding support in France is inadequate. Mothers often turn to formula when they return to work after 16 weeks of paid maternity leave. I might be in the minority in the U.S., but I find this blasé attitude toward breastfeeding liberating. I felt such pressure and stress to successfully breastfeed both my kids up to the one-year mark (like the perfectionist I am). I didn’t consider breastfeeding to be slavery, but it was hard to sustain. I struggled with guilt and feeling like a failure. I worried I was ruining my kids by quitting early. French moms have the same worries as American moms, but I’m jealous of their relaxed breastfeeding attitude. Yes, breastfeeding is important for a baby’s health, and it’s worth a shot. It’s also a personal decision. I’m going to side with the French moms on this one: Let’s stop making breastfeeding such a big deal. What if breastfeeding isn’t always best?